Ceiling balloons and Lanterns suspended from the ceiling at the Cross Keys Hotel Kelso. 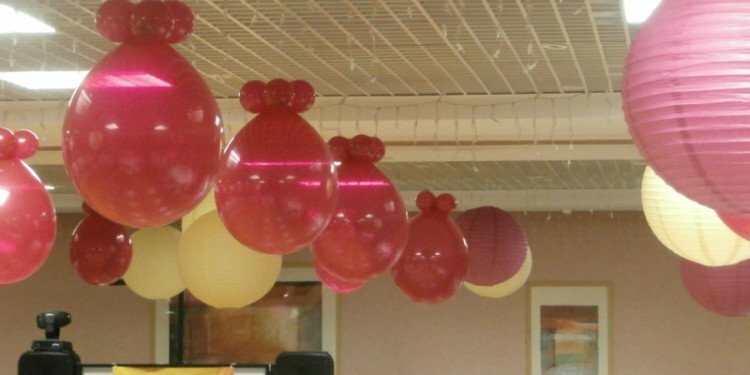 Ceiling balloons add colour and a subtle decoration without taking up floor space. 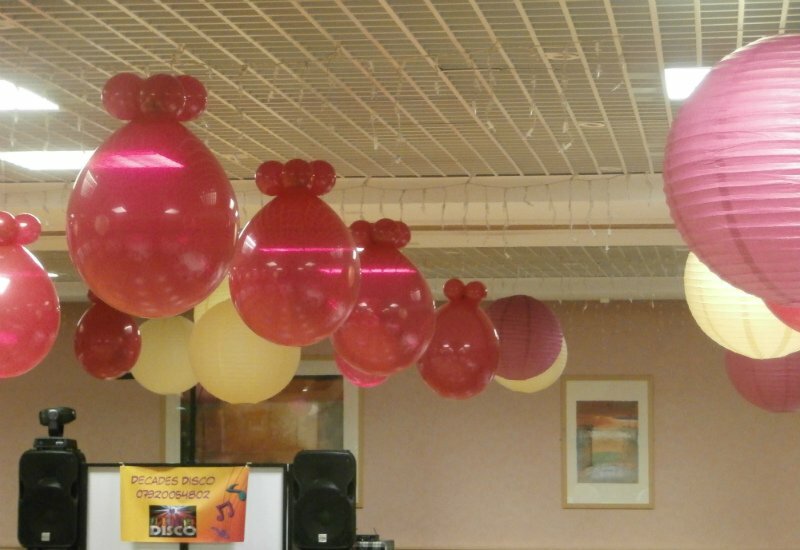 We can provide the balloons and hire the lanterns. All installed ready for your guests arrival. Great for weddings, Balls or any other celebration.